I would love for these earrings to pop up in my jewelry box. They would be such a statement for summer! I haven't been able to find the actual source yet, so if you know please tell me! 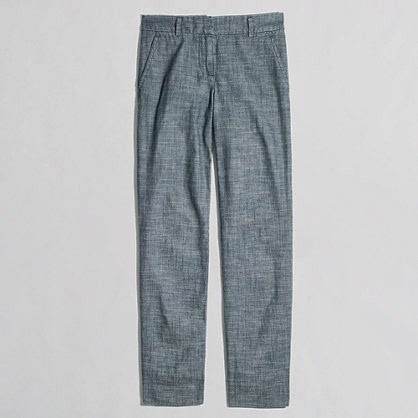 Now that the semester is over, I'll be purchasing these chambray capris this weekend! I saw them in the store last week and fell in love. Sadly they didn't have my size, but I have high hopes that I'll find a pair this weekend. 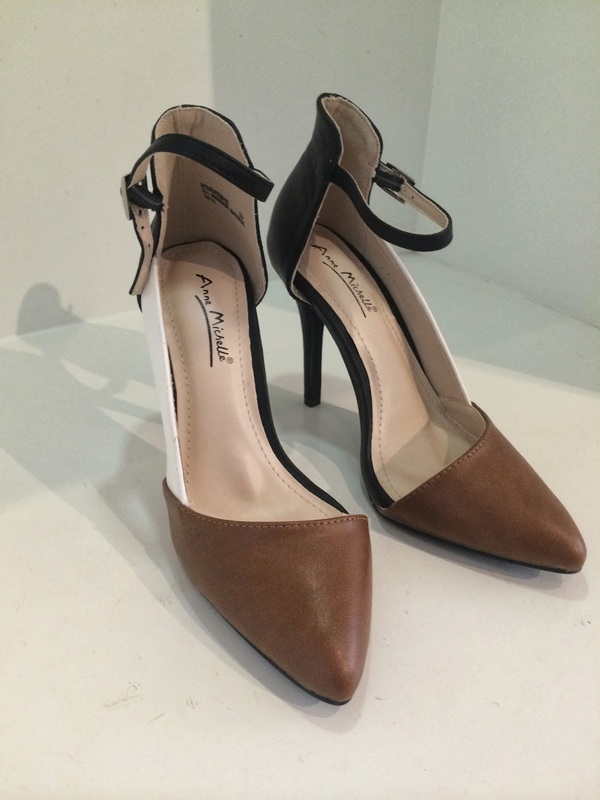 They're even more fabulous in person and are perfect for rotations! This pin is absolutely genius. 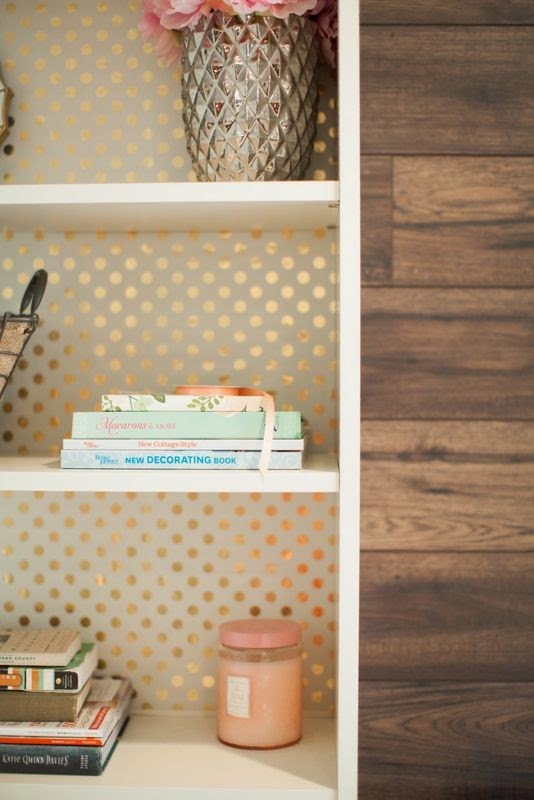 It takes a bland bookshelf and turns it into something absolutely stunning. The polka dots are the perfect touch and not too overpowering. These heels from a boutique in downtown Savannah named Fabrik. If I weren't in desperate need of a good pair of rotations flats, these beauties would be mine. 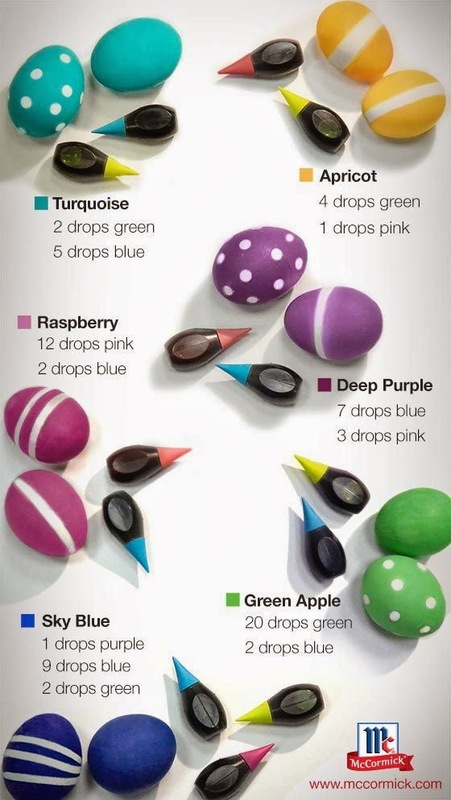 I'll definitely be using this for our Easter Egg dyeing. How vibrant are these colors? A special thanks to Natasha, Darci, Christina and April for hosting fabulous Five on Fridays! Also linking up with Lauren Elizabeth for Friday Favorites. Um I have never seen those pants before and LOVE Them! You can never go wrong with anything Chambray. Do you live in Savannah? I just moved from there after getting married and living there for 3+ years... I miss it!! Those Easter eggs are fantastic! What a great find! Love those earrings! I hope J Crew get those capris back in soon! Did you check online? Love those earrings - if you click on the pin that you pinned (weird to type) it takes you to the website that sells them - just click on jewelry!! I would love to do something like that bookcase in my apt!! Hope you have a great weekend! oh those earrings!! beautiful! have a great weekend! Ooooh. I love the polka dots on the Easter eggs! I have chickens and dye some of their eggs every year. I'll have to try the polka dots this year! Those chambray capris are perfect! 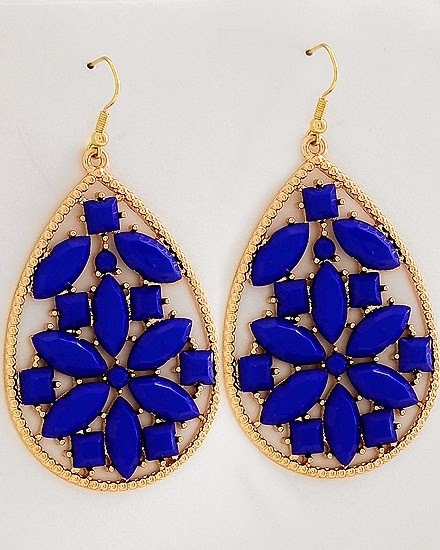 And I have a pair of earrings very similar to those -- I'll check the brand and see what they are! Those earrings are to die for! I love those pants, perfect for Spring! The earrings are totally fabulous! once you find the source, please share! I do research for a living, so I made it my mission to FIND those earrings...but I found a post of them dating back to October 2012 (and I'm not even sure that's the original post), so I'm guessing those pretty little gems are long gone. Maybe you can create something similar with Kendra Scott's Color Bar??? Those earrings are stunning! And I love the pumps as well :) Have a great weekend Caitlin! They must of used tape on those eggs, just a good idea! Happy weekend! those earrings are gorgeous!!!! makes me wish I could wear fun earrings (sensitive ears)! And love that pin, what a great idea. Gold polka dots are so glam! If you find out where those earrings are from, let me know! So pretty! What a wonderful bookshelf paper idea! Love that you are in PA school! I totally thought about doing that! I decided upon acupuncture. I hear there is some website that tracks down untraceable pins on Pinterest! I wish I had the name for you. Maybe it's easily searchable? I'm in love with those earrings and bookshelf - so gorgeous! Have a great wknd! !